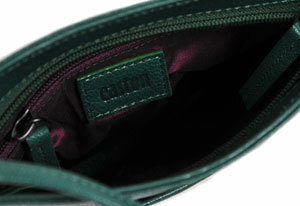 There are lots of pockets to keep you organised and inside the main zip compartment there is also a further zipped pocket in the fabulous purple lining, a phone pocket and a clip for your keys. 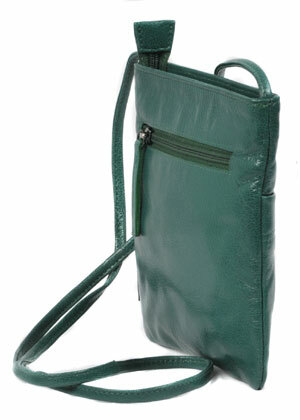 The leather is a glazed goat skin in emerald green with a slight sheen, perfect for dressing up or for a smart casual look. 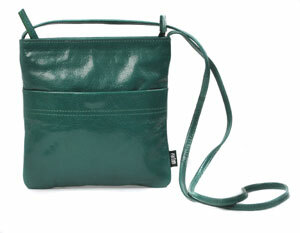 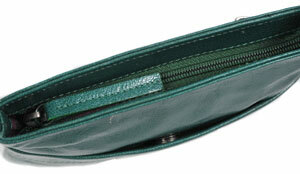 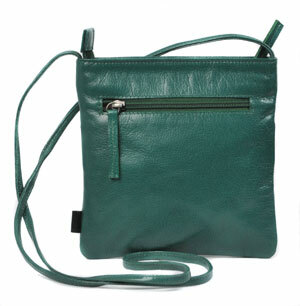 The skinny strap is approx 58-60cm drop from centre to top of the bag.